IronMan not enough for you? Most everyone has heard of the Iditarod – the famous 1100 dog mushing race from Anchorage to Nome Alaska. I recently returned from Alaska where I learned of the “Iditarod Trail Invitational“, tagged the longest winter ultra race in the world. You have two routes you can follow, a 350 mile and the original 1100 miler. The main difference are the modes of transportation. You can race on bike, snowshoe or on foot. And it’s held in March where you it can be 30 degrees below zero with blistering winds. There are sometimes days between rest cabins or villages so you have to carry a sleeping bag and food with you. Visit the website here to learn more about it and read some of the competitor’s blogs. How about the “Great Divide Race” which follows the US Continental Divide for 2,490 miles of cycling? 262 mile run? Here’s their website. Having never attempted one but from what I can gather, finishing depends a great deal on your mental fortitude; how tired you feel, how exhausted you are, and how the cold and hot plays games with your mind. Assuming a high level of fitness and training, part of these finishes might be determined by nutrition – have you practiced your nutritional in take on road and in all sorts of weather. Which leads me to this excerpt reprinted with permission by Human Kinetics. 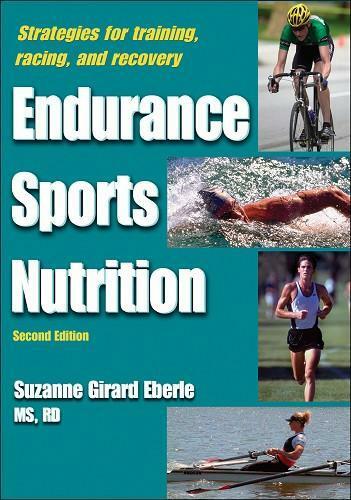 The book is “Endurance Sports Nutrition“, by Suzanne Girard Eberle. When it comes to eating and drinking, think before, during, and after. Fuel up every day before you start with a carbohydrate-rich breakfast to maximize your glycogen stores. If you’ll be pushing the pace or racing (working at moderate to high intensity, above 60 percent of VO2max) you’ll need to eat and drink at the earlier end of your acceptable breakfast window to start out on an empty stomach and minimize digestive problems. Drink again as near the start time as you can or top off with an energy gel taken with water. If the day is going to be more of a long, slow effort, then it’s generally OK to eat closer to the start (say, two to three hours beforehand) and to include fattier foods that take longer to empty from your stomach and be digested. During the event or race, you’ll need to drink regularly (every 15 to 20 minutes) and refuel (every 30 to 60 minutes) from the onset so that you consume at least 30 to 60 grams of carbohydrate per hour. Sports drinks are the rehydrating beverage of choice to replace fluid and electrolytes. Along with sports drinks, a safe approach is to rely on energy gels and well-tolerated carbohydrate snacks during faster-paced efforts. Be prepared with salty foods or electrolyte tablets to help keep pace with your sodium needs. On long, slow days, incorporate real food, especially for the mental boost that it provides. planned, eating a large amount at any one time, such as a lunchtime meal or a meal during a rest stop, will divert blood away from working muscles when you resume exercising. You will feel lethargic and unresponsive and end the day lamenting how much harder the second half was. 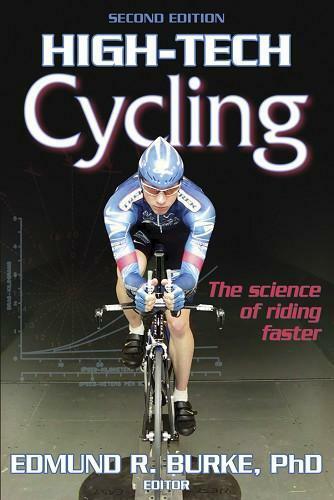 15 minutes, to maximize the glycogen replenishment process (see chapter 4 for a review). Ingest a substantial amount of carbohydrate calories immediately— at least .5 grams of carbohydrate per pound (~1.0 grams per kilogram) of body weight. (Even better, take in .75 grams per pound.) Remember, these are carbohydrate calories, not just calories from anything, like beer, nacho chips, or a candy bar. A recovery drink or meal replacement beverage can make the job easier (see the chart in chapter 5), and a small amount of protein may help reduce muscle soreness. or 85 to 112 grams, of meat). If need be, eat another carbohydrate-rich snack before bedtime.